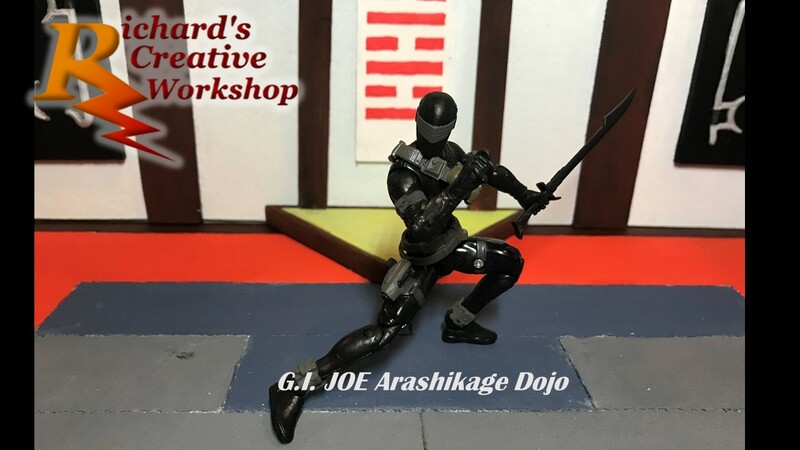 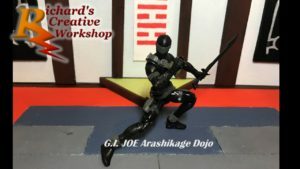 As sun sets on Gotham’s GCPD Precinct, the sun rises on the Arashikage dojo, which is scaled for Gi Joes 3.75″ figures. 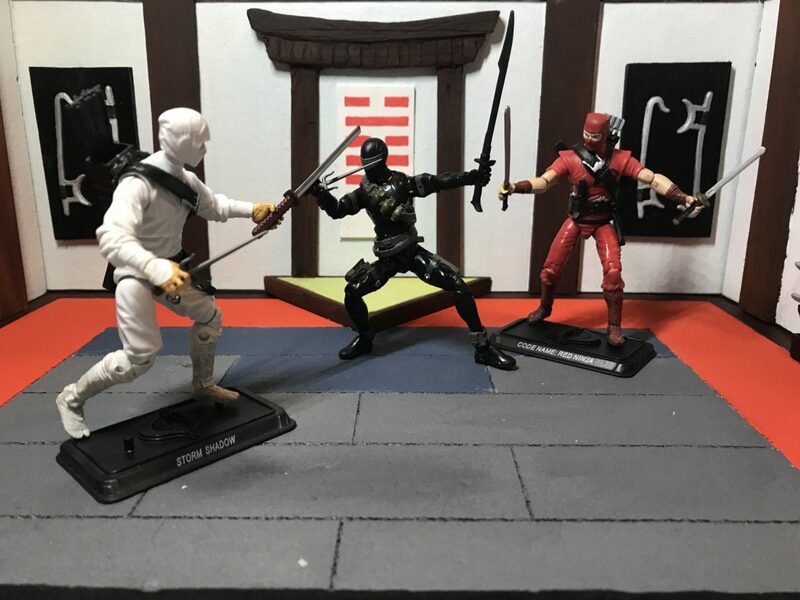 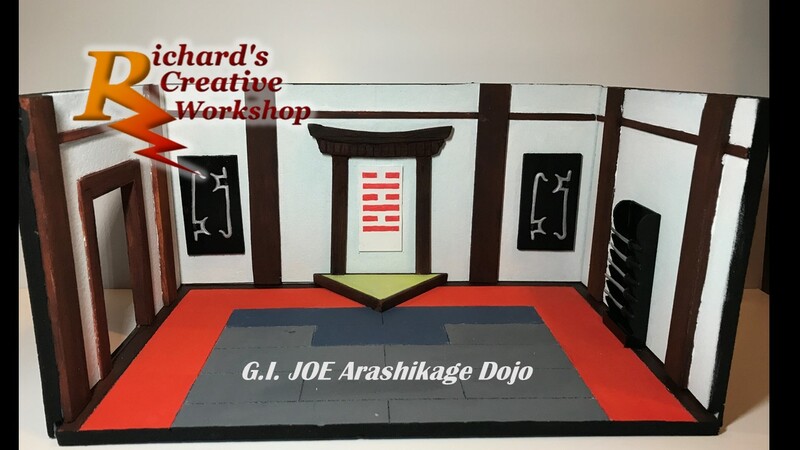 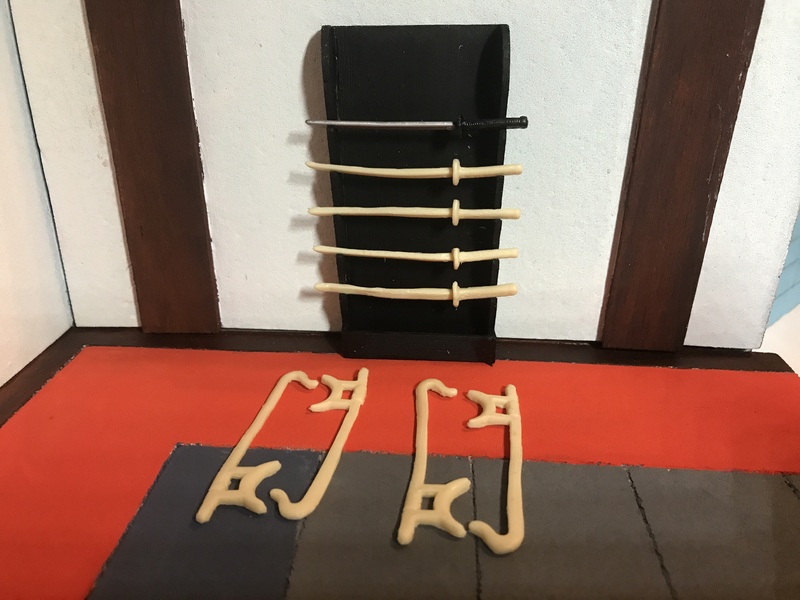 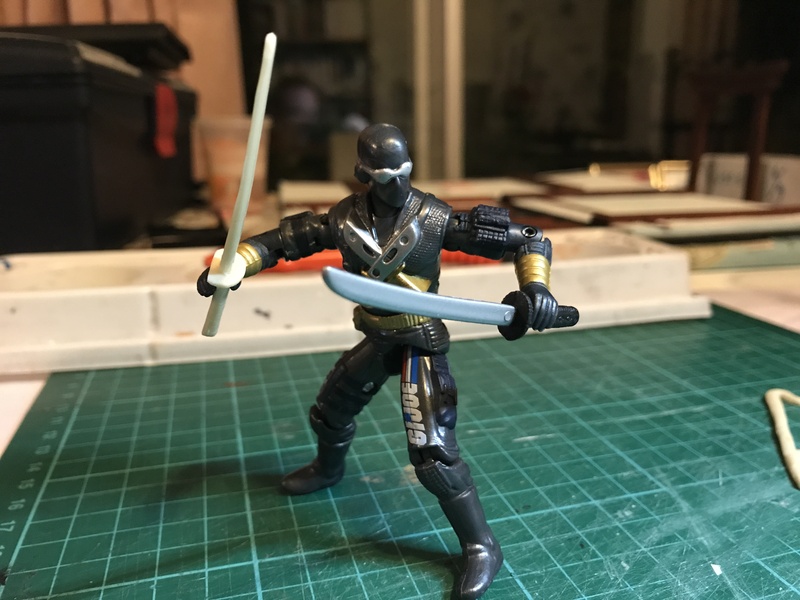 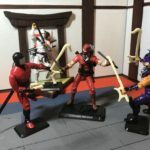 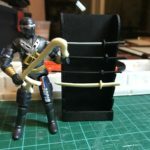 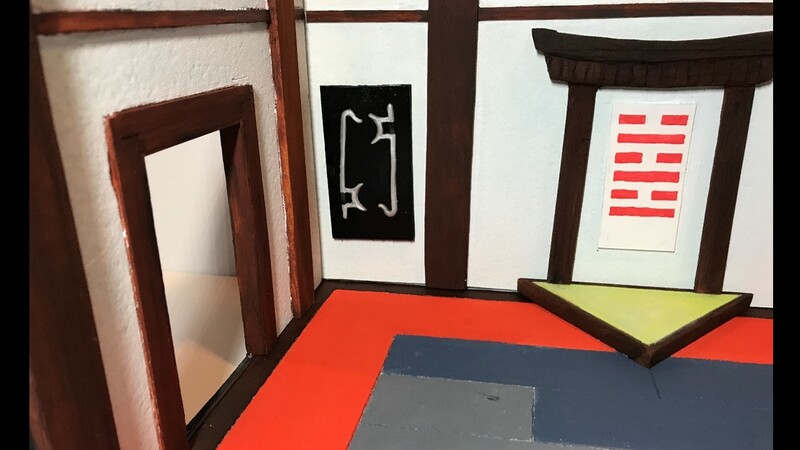 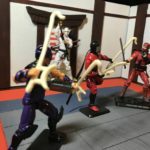 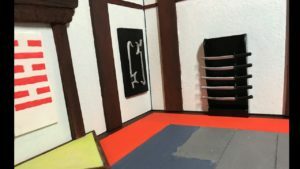 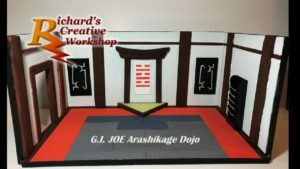 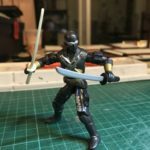 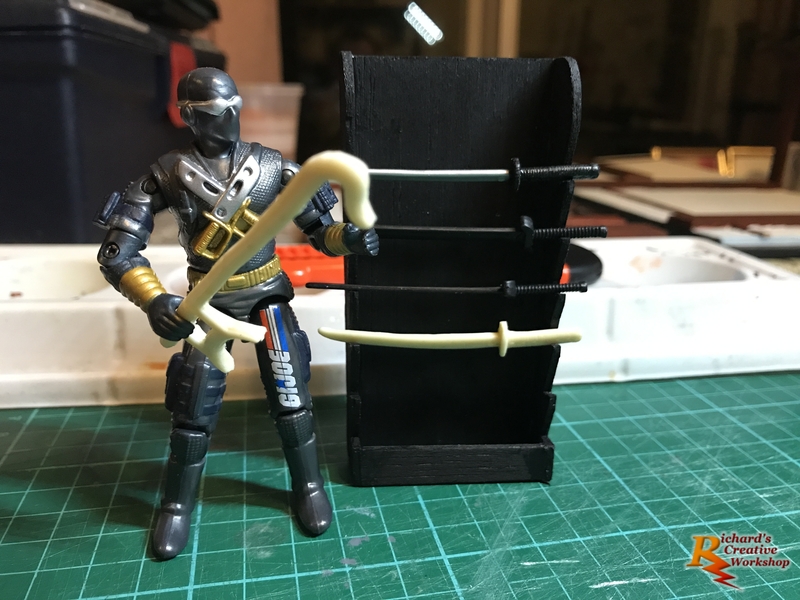 I have been asked by a client if I could build him a dojo which could be used for either Gi Joe or Mortal Kombat, before I commit to it, I am constructing this as a test build for my client. 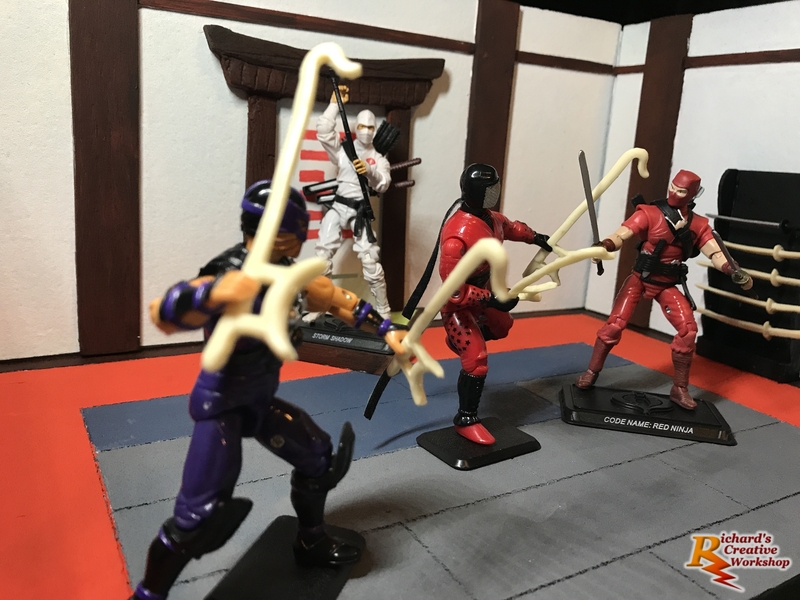 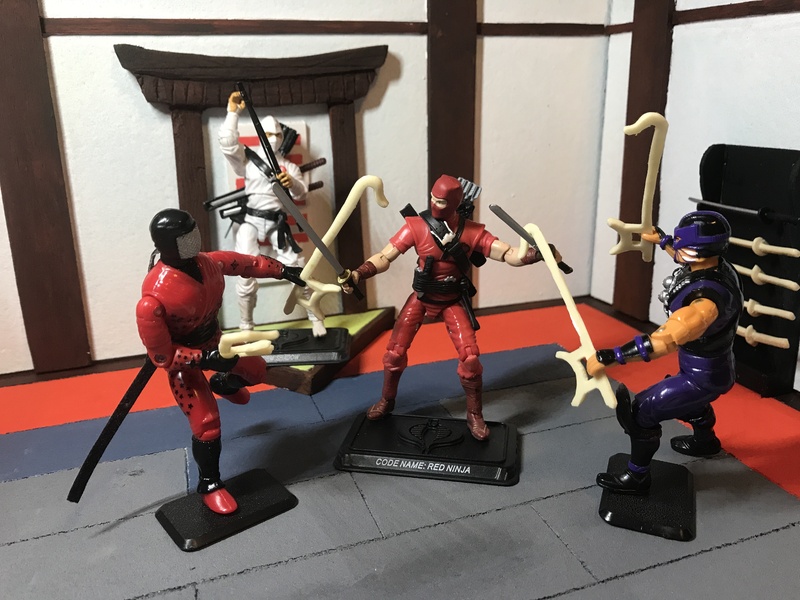 I decided that I need to work on my casting skills which I used for developing the spare Cobra Stun parts to build weapons for this set. 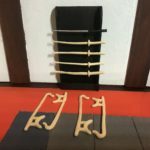 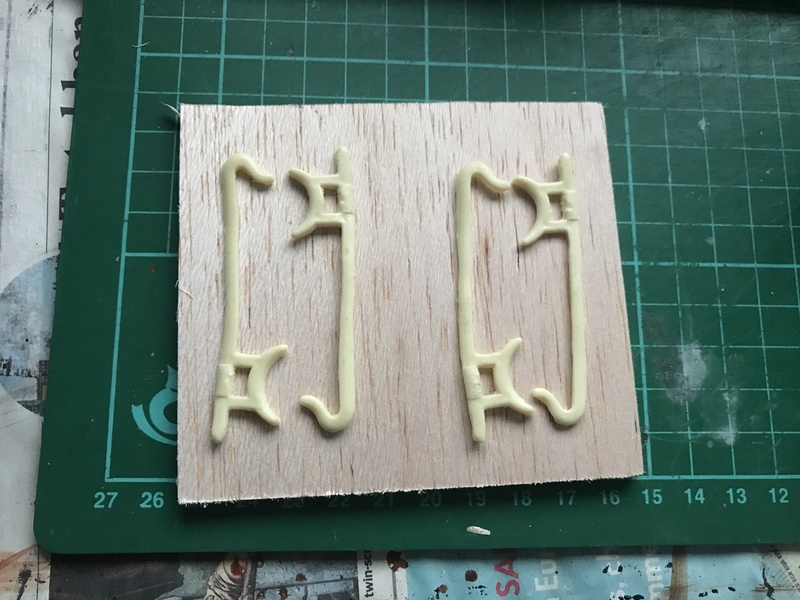 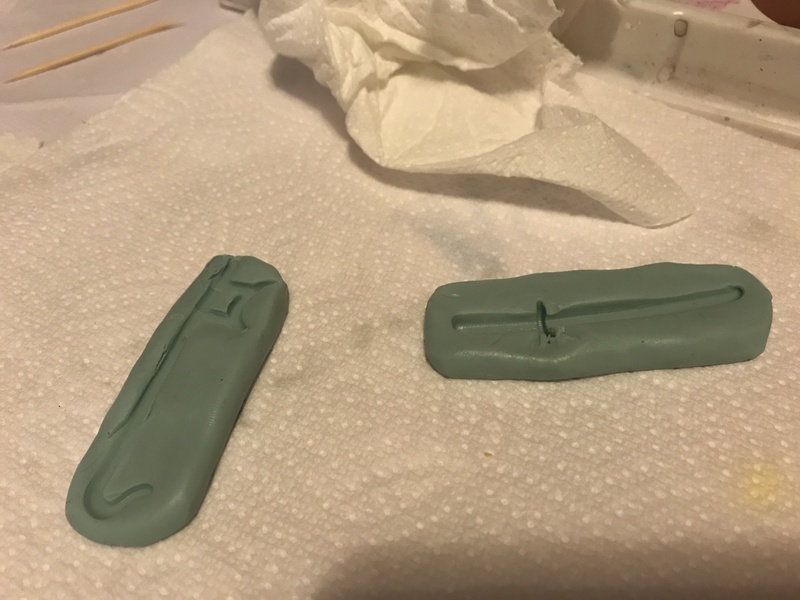 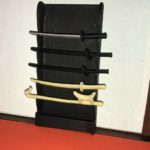 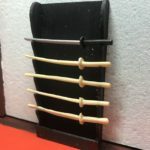 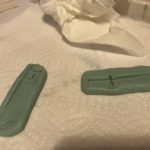 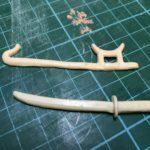 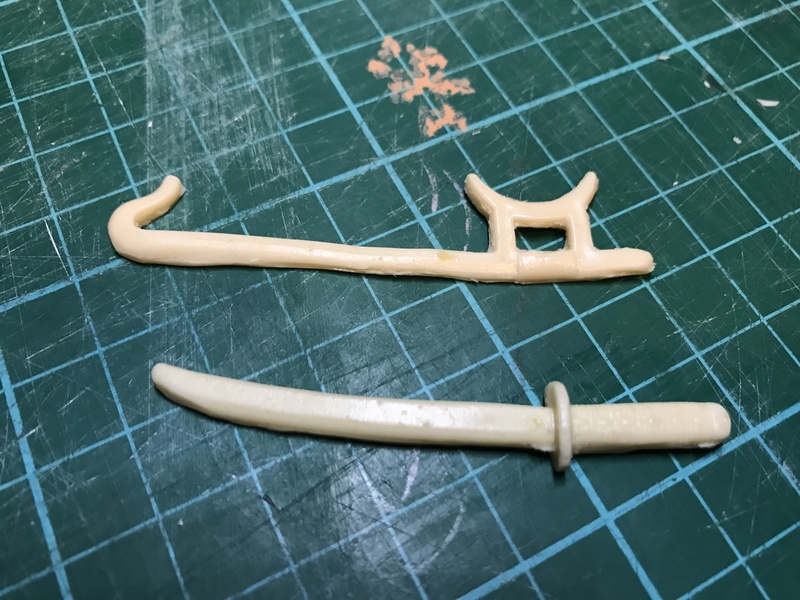 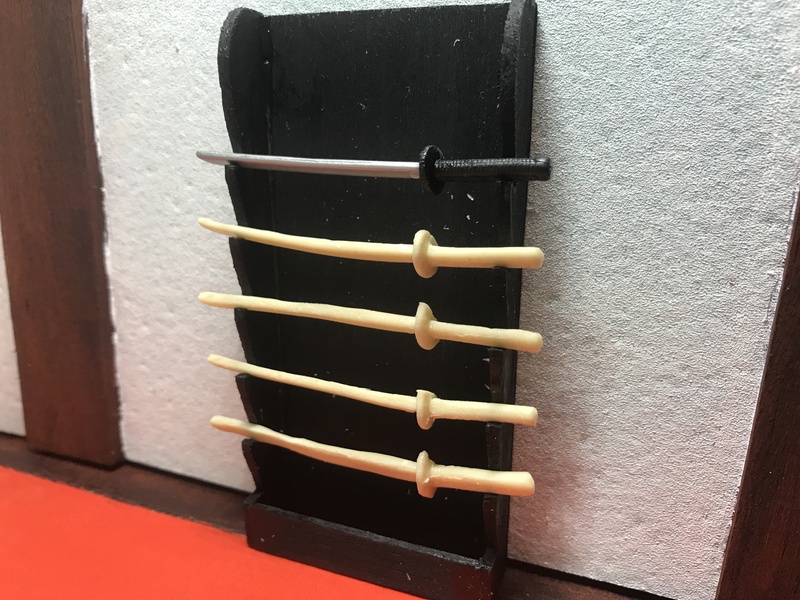 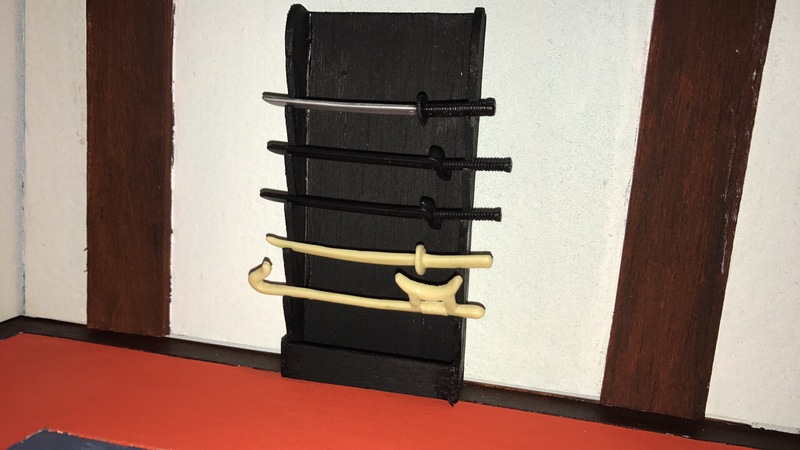 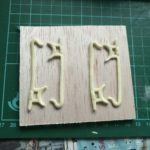 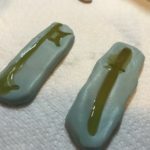 Using Blu Stuff I made molds of a Tiger claw sword and katana which will be used as wall hangings, the katana’s will be used in the rack. 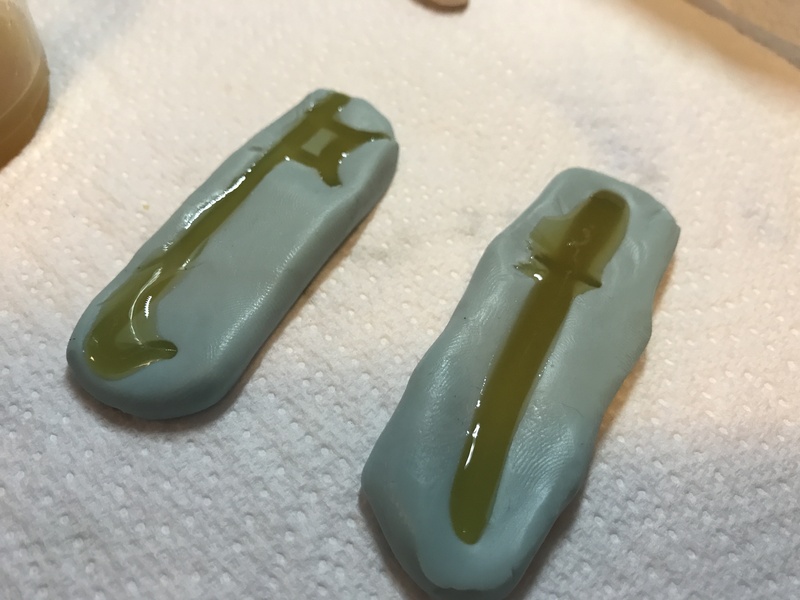 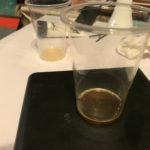 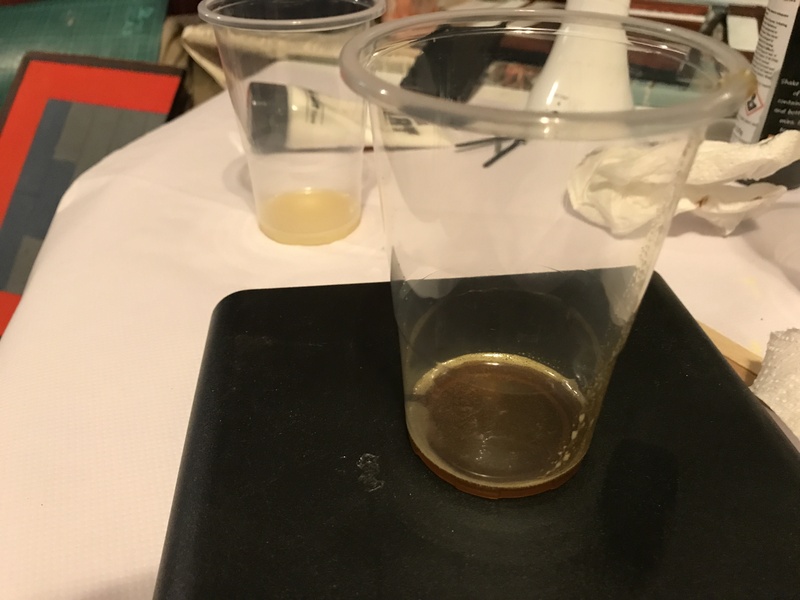 Making up the mixture, pouring it into the molds and waiting for them to start to curing.